Kayaking: An Excellent and Fun Workout! Keeping fit and getting a good workout means you have to hit the gym, right? In fact, it may be better to choose other outlets for your exercise. Experts tell us that being fit is a journey, and starts with the everyday decisions we make. Incorporating physical activity into your daily routine is likely the best method for maintaining a healthy weight and being in your best shape. While a daily gym session is definitely a positive approach, you can be fit and healthy by incorporating exercise into your everyday activities. From walking to biking to household chores: regular movement is the main path towards a healthy body. If you can connect daily exercise with something you love to do, even better! Sports are a wonderful way to take part in something you enjoy while also breaking a sweat and improving your physical (and mental) health. Looking for an activity that fits that description? 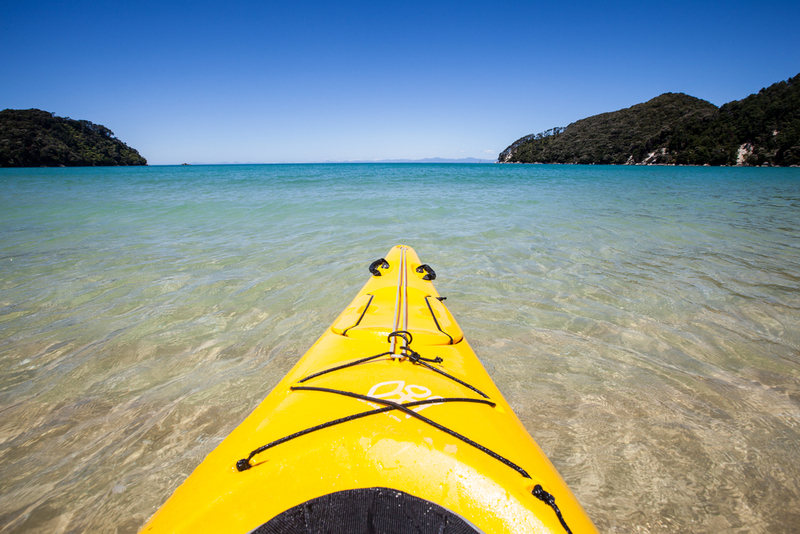 Kayaking might be exactly what you’re seeking. Kayaking, whether on the ocean, in a river, or on a lake, is undeniably a wonderful physical workout. The primary emphasis is on the arms and shoulder muscles. Paddling against the resistance of the water helps build muscles and tone them. You’re working a range of muscles across your arms, back, and chest as you move through the water. The harder and faster you paddle, the more intense the workout will be, but slow, controlled paddling has the same great effect on your muscles. Kayaking also improves cardiovascular activity. It gets the heart pumping and the blood moving, which is an important element in physical health. Kayaking is generally not too intense, however, so this type of exercise will increase your heart rate to a healthy level. It’s not just your arms that reap the benefits, either. Kayaking works your legs and core as well. Maintaining balance in your kayak has a lot to do with creating equilibrium. Your legs will be pushing against the footholds, helping to keep your balance and subtly working those calves and thighs. Your core also plays a huge part in your balance. As you sit with good posture and paddle correctly, you’re toning the front and sides of your abdominal muscles, and strengthening your back. Combined, it’s an excellent workout for the core muscles. Kayaking is also an outstanding activity for your mental health. Being outside and in nature is certainly a significant part of it. Research has shown that simply being exposed to the blue hues of the ocean can have a healing, therapeutic effect. But the movement and the calm atmosphere of kayaking can lower your stress level and help your body produce positive, happy chemicals. With all these benefits, why wouldn’t you spend more time kayaking? Not only is kayaking good for you…it’s just plain fun. At Jervis Bay Kayak Hire, we can help you get a nice workout, and have a fabulous afternoon on the water. Want to come paddle with us on the bay? Get in touch about our kayak and SUP hire or to come along for one of our guided kayak tours.